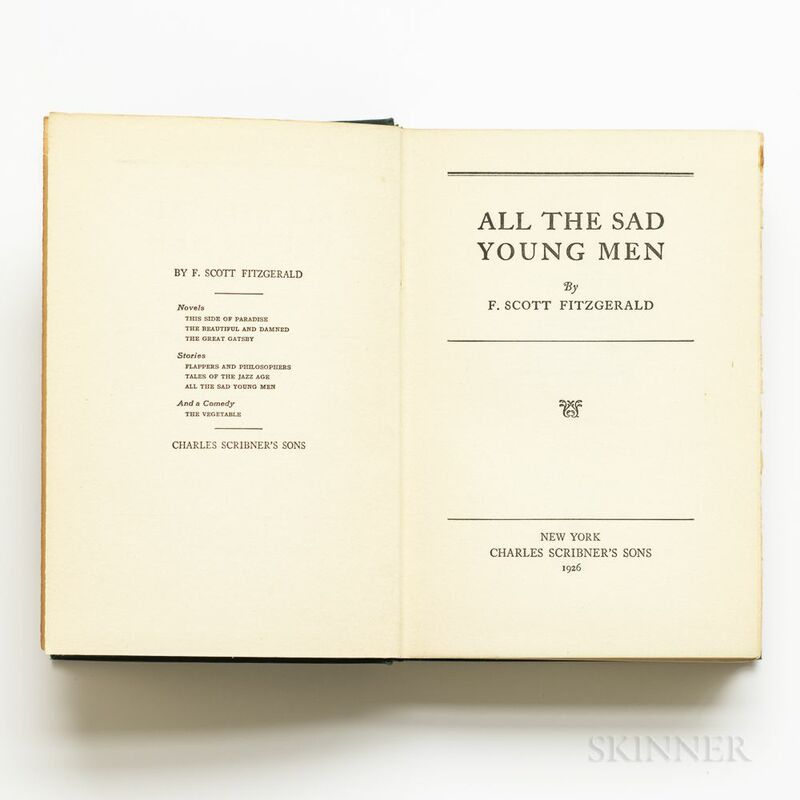 Fitzgerald, F. Scott (1896-1940) All the Sad Young Men. New York: Scribner's Sons, 1926. First edition, with the Scribner's seal on copyright page, octavo, bound in publisher's green textured cloth, spine titled in gilt, front board titled in blind, 7 1/2 x 5 in.